The Henry Jones Art Hotel is housed in Hobart’s oldest waterfront warehouses. Our history and the days of Old Wharf dating back to 1823 are firmly part of our hotel’s present. We invite you to learn more about those who shaped the region and how art is weaved into the fabric of our Henry Jones narrative. We are not simply a place to rest your head, but a hotel of rich colour and creativity, one that is grounded in place. Our hotel is Australia’s first dedicated art hotel. We exhibit original contemporary artworks by emerging and established Tasmanian artists. 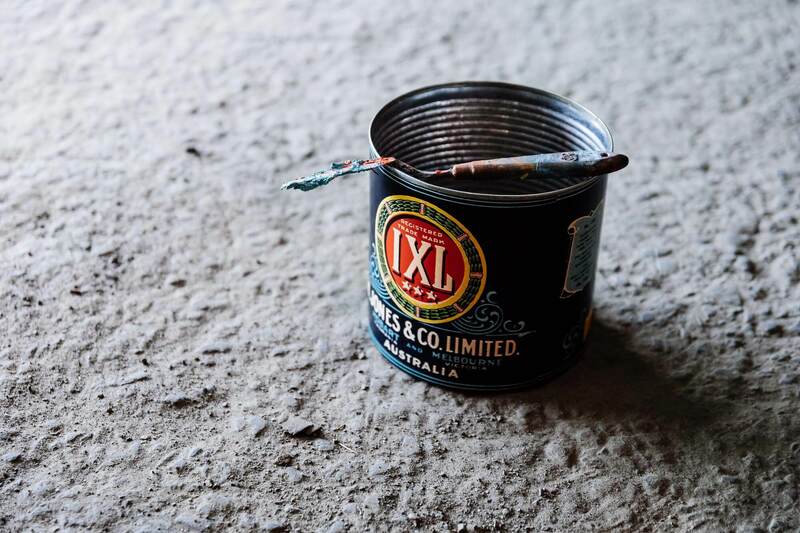 This isn’t your typical hotel art, but handpicked for its authenticity and sense of place. Some pieces may challenge, others delight. Art is an intrinsic part of The Henry Jones experience, environment and culture. It’s prolific – some 500 artworks on display. Works are exhibited in public spaces, Guest Lounge, Art Installation Suite, IXL Long Bar, Landscape Restaurant and Grill, Jam Packed Café and in every room and suite. The Packing Room is our newest addition where we present exhibitions in a high-end gallery environment. The works that you’ll encounter include pieces by graduates from the School of Creative Arts, independent practitioners and artists represented by some of Hobart’s leading commercial galleries. The collection includes original paintings, prints, works on paper, photo media, sculpture and design. Most of the artworks are for sale. Be tempted by our entire range listed in our Art Catalogue for online viewing. Stay in touch with our latest edition of Art News and join our Facebook page to receive updates. The $20,000 Henry Jones Art Prize aims to showcase exciting new work from Tasmania’s finest rising contemporary artists, something that The Henry Jones Art Hotel has long been passionate about. Location: The Henry Jones Packing Room & IXL Atrium, 25 Hunter Street Hobart. Visitors to the exhibition will be able to purchase artworks and vote for their favourite, with the artist of the most popular work receiving a $1,000 framing prize from Wagner Framemakers. There will also be a Packing Room Prize, chosen by the hanging team, providing one lucky artist with $1,000 voucher thanks to Artery. Staying at the Henry Jones is a little like staying in an art gallery. After all, there’s 500 pieces of Tasmanian art on display, all available for purchase. Our Art and History Tour gives you the opportunity to experience our art collection in more depth, and to share in the stories of the Henry Jones site and those who shaped its past. Hosted by our knowledgeable Art Liaison, Emine Lewis and History Liaison, Greg Ball, the tour explores the corridors of our hotel, explaining contexts of artworks and the deep history etched in the fabric of our heritage buildings. Learn the industry beginnings of Henry Jones to its place as a contemporary art hotel. Enjoy a glass of sparkling wine as the narrative of the site and its art unfolds. Our tours operate daily at 4pm*. Tours are complimentary for in-house guests and $20.00 per person for external visitors. Bookings are essential. Please call Concierge on +61 3 6210 7700 or email the Hotel for more information. 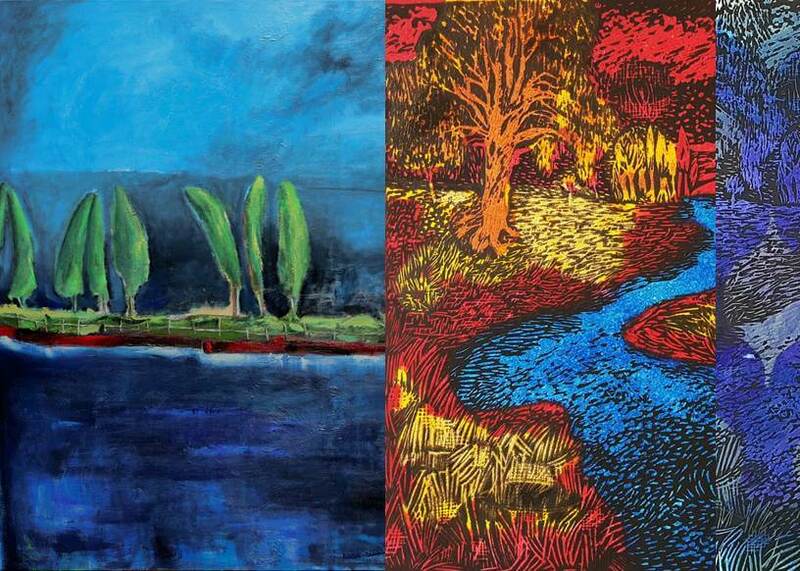 The Henry Jones is proud to present new acrylic landscape paintings by Angus Douglas. Angus is a master of capturing the spectacular colours and topography of our beautiful island state. In this series Angus takes us high above the canopies of the rugged South West coast of Tasmania, in the cockpit of a light aircraft, providing us with a birds eye view of the some of the most isolated and stunning areas in Tassie. Join us for the exhibition opening on Wednesday 13th February, 5:30pm – 7:30pm at The Packing Room, IXL Atrium, 25 Hunter Street, Hobart. The exhibition will be open daily from 10:00am – 5:00pm until April 2019. The Henry Jones is proud to present an exhibition about the ebb and flow of the waters’ edge that allows us to inhabit this beautiful island. 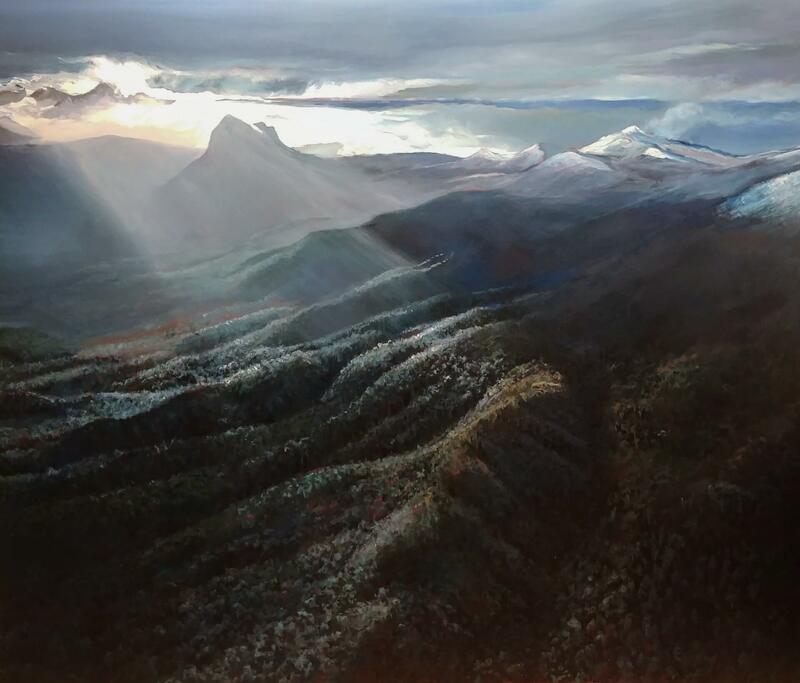 Tasmanian artists; Jan Jefferys and Ange Cooper discuss their passion for the life giving waters around Tassie through their series of paintings and prints. The exhibition will be open daily from 10:00am – 5:00pm until June 2019. In the early morning of Sunday, 19th February 1804, Lieutenant Governor David Collins and the Reverend Robert Knopwood stepped from a rowing boat onto the shore of Hunter Island, in a remote corner of Van Diemen’s Land. The beautiful, forested bay they had entered had for thousands of years been a traditional food gathering area for the indigenous Mouheneenner band of Tasmanian Aborigines. But the arrival of the two men on that hot summer’s morning marked a new era of change for the island—the settlement of Hobart. Hunter Island was the ideal secure location for storing goods and supplies for the new settlement. A building and small wharf were soon built and the newly named Sullivan’s Cove became a station for military personnel, convicts and supply stores. The settlement grew rapidly, fed by thriving whaling and sealing industries and a steady supply of convict labour. Development on Hunter Island quickly expanded. In 1820, a causeway was constructed to connect the island to the Tasmanian mainland. Factories, storehouses and dwellings emerged and over the next 15 years, the area experienced a huge turnover of businesses. But in the 1830s, a severe depression hit the area hard. The whaling industry had collapsed, a new wharf had been constructed across the bay (at what is now Salamanca Place) and the Old Wharf and nearby Wapping residential area was gripped by poverty and misery. The rivulet that supplied Wapping with fresh water had become contaminated by pollution from factories and slaughterhouses. Disease was rampant, and the area was prone to flooding, adding to the wretchedness of the inhabitants. Slums proliferated and the buildings of Old Wharf fell into disrepair. The Old Wharf, with its brothels, taverns and nefarious activities, developed a reputation for wickedness. But in 1869, businessman George Peacock moved his successful jam making business to newly acquired warehouses on Old Wharf—the best location in Hobart for exporting produce. Peacock Jams were in high demand, and the shrewd businessman had a vision and determination to expand his flourishing business. At 12 years of age, Henry Jones presented himself for his first day of work at George Peacock’s jam factory – his first and only employer. From humble beginnings, working ten hours a day, six days a week, sticking labels to jam tins, Henry would rise through the ranks of the expanding Peacock empire to eventually take over the business that would one day bear his name—H. Jones and Co. Pty. Ltd. IXL Jams. For more than 60 years, the Federal Group have played a significant role within the Tasmanian community. Today, they provide jobs for over 2,000 Tasmanians. The group continue to invest heavily in the State’s hotel and tourism industry including Wrest Point Hotel Casino, Saffire Freycinet and MACq 01 Hotel. As with The Henry Jones Art Hotel, each property delivers an undeniable connection to place as well as service excellence. Wrest Point became an Australian first in 1973. Upon its opening, visitors flocked to Sandy Bay to experience the nation’s first legal casino. Saffire Freycinet adds a new level of luxe to Tasmania’s East Coast with its signature experiences and superior architecture while MACq 01 became the country’s first storytelling hotel, opening in 2017. MACq 01 sits as our closest neighbour here at Henry Jones with 114 rooms depicting the story of Tasmanian characters.